Where must resellers in the office supply industry focus? Our blogging focus has been to analyze the office products industry while placing a strong emphasis on the aftermarket office supplies segment. Office products is a big, mature industry, where the largest players exert significant control over the distribution channels and market shares. The future for office supplies dealerships faced with increasing competitive threats has become uncertain. Our purpose in analyzing the market has been to identify compelling reasons why smaller, independent resellers may be motivated to open their minds to the growth opportunities, invest in their businesses, and develop a positive outlook working toward future growth and profits. We have placed a major emphasis on the role of the internet and the requirement for digital transformations. 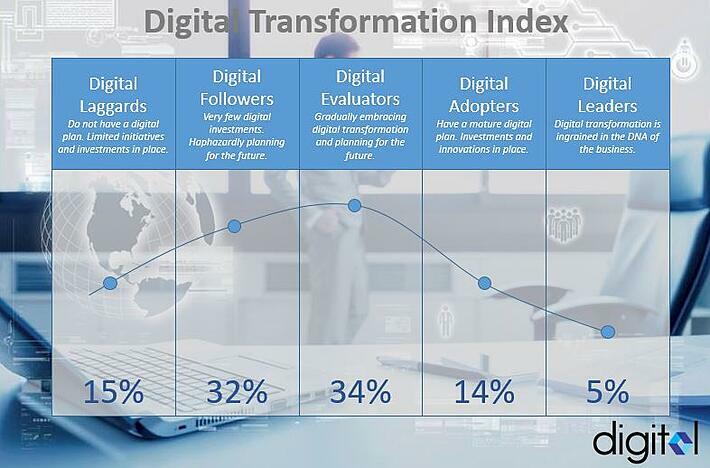 However, in assessing the elements required for a successful digital transformation, we're the first to recognize how difficult this is for a small business owner with limited time to research tactics and implement strategies to accomplish the goal. We have concluded that an opportunity exists to disintermediate the big-box resellers and, smaller resellers who are up for the challenge, may compete effectively in this segment of the market as opposed to the low-ball internet pricing market, such as found on Amazon and eBay. Resellers shouldn't overlook that, while the ink and toner market is tough, and while it may now be declining at 1-2% per year, the annual market [as measured in retail dollars] is still estimated at $25 billion, the makeup of which is shown in the table below. The make-up and structure of the $25 billion market for ink and toner in the U.S. Imagine, for a moment, the $1.25 billion online market, represented by the Amazon and eBay marketplaces, is the "Red Ocean", while the "Blue Ocean" is made up of the $22.5 billion retail dollars of OEM brand and Tier -1 aftermarket cartridges sold through the big-box channels. The $1.25 billion represented by Tier-2 aftermarket forms the boundary between the red and blue oceans. My point in explaining this, and in setting out the data in the table shown above, is to demonstrate the gulf between the "Blue Ocean" and the "Red Ocean". Our assessment of the market leads us to conclude it's very difficult to build a profitable business in the Red Ocean so, if we're correct, the place to focus is the Blue Ocean currently dominated by big box outlets such as Office Depot and Staples. Take a look at the difference in the average selling prices. An OEM cartridge at $100 and an aftermarket cartridge through an online market at $20. Look at the boundary between the Blue and Red Ocean where $1.25 billion is estimated to be transacted at an average selling price of $50. Imagine, for a moment, independent office products resellers, utilizing integrated information technology platforms and modern digital marketing tactics. Imagine targeting the $22.5 billion market, the 235 million units with a current average retail price of $95, and forsaking the red ocean of 62 million units with an average retail price of $20! Small business and sales channel development are not mutually exclusive terms. But, for small business to thrive in our new internet-centric business environment, it must adopt tactics that work in this modern digital age. In order for the Blue Ocean channel development strategy to be seriously considered, the independent office products reseller must be convinced there's a future for its business and that an opportunity for profitable revenue growth still exists. It's for this purpose we authored our trilogy of books developed specifically to help educate independent resellers on the market and the potential for revenue and profit growth, despite the challenging market conditions. There is 30+years of experience in the office products and supplies industry underlying these three books. Then, alongside this product and channel experience, we've combined nearly twenty years of information technology experience, and nearly seven years of social media and web traffic development experience. It's this experience that has convinced us there's an opportunity for savvy digital marketers to profitably grow their office products dealerships. There's a big segment of the market that's vulnerable and we've concluded the competition is poorly prepared for fast-moving, flexible, digitally prepared resellers. However, we've also concluded it's difficult for smaller resellers to get to the level they need to be, to successfully transform their business into the digital age. So, to help overcome this problem, we're building a turnkey solution for establishing the foundation for office products resellers to start their journeys toward digital business transformations.